1881 Indian Head cents, like most 1880s pennies, are relatively common, even though they are rarely, if ever, encountered in circulation these days. In general, 1881 pennies are collected by many Indian Head penny enthusiasts. These coins are also widely sought by type collectors who would like a 19th-century example of this series for their coin sets. 1881 pennies are among the dates that coin collectors often find in mixed-date rolls of common Indian Head pennies, and they are readily available at most coin shops. 39,211,575 Indian Head cents were made in 1881, and Good-4 specimens of the coin from that year retail for around $3. Meanwhile, the much rarer proof 1881 penny sells for $1,250; only 3,575 proof 1881 Indian pennies were minted. 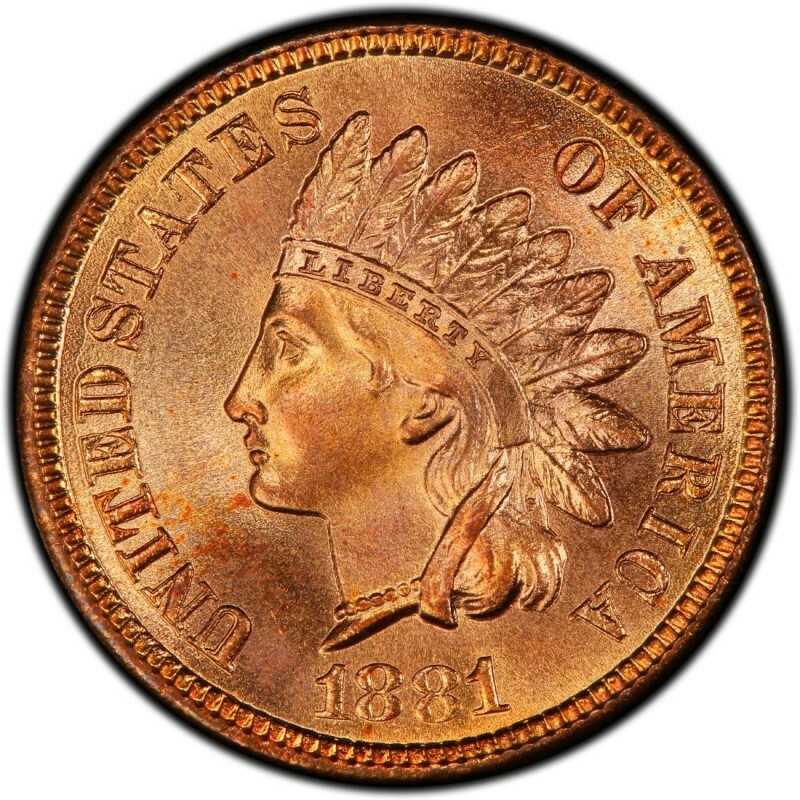 In general, coin collectors seek the far more common business-strike 1881 Indian Head pennies for their coin collections due to their lower price. Chief Engraver of the United States Mint James B. Longacre designed the Indian Head penny in 1859. 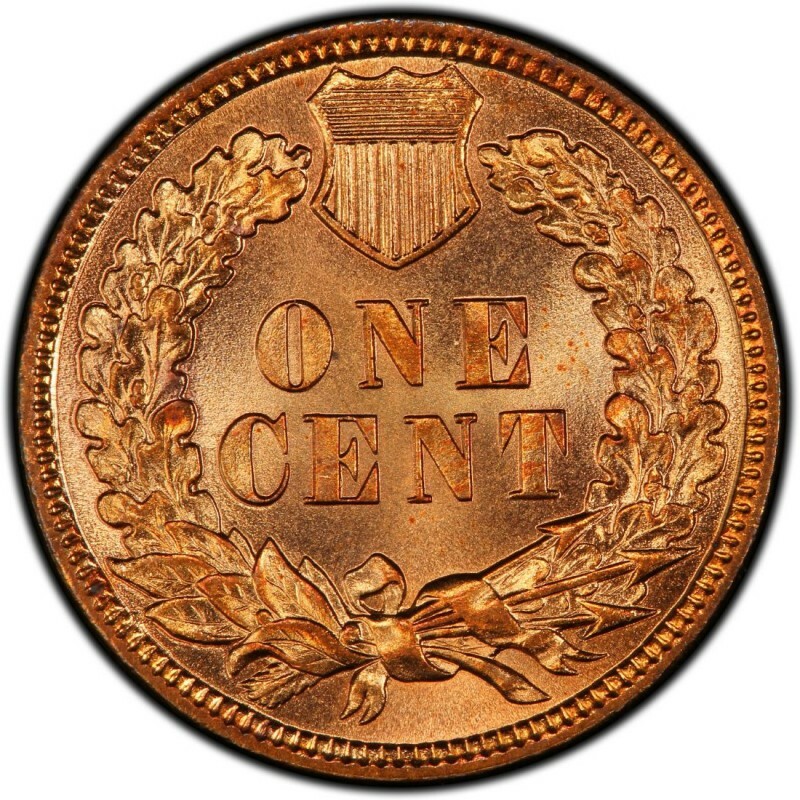 In addition to 1881 Indian Head pennies, he also designed the two-cent coin, which was the first U.S. coin to bear the words IN GOD WE TRUST. As for Indian Head pennies, many people mistakenly think they depict an actual Native American. The figure on the coin is actually Miss Liberty, who was modeled after Longacre’s 12-year-old daughter, Sarah.